When the weather is nice out, it is very relaxing and enjoyable to spend time in the evenings outdoors. You might also enjoy having a BBQ or a cookout. If alone time is what you are looking for, it is very relaxing to spend time outdoors just enjoying nature. Nothing can ruin your perfect night, or so it would seem that way. When you are outside having a great time and a swarm of mosquitos attacks, it effectively ruins your night and sends you scrambling for shelter. When this happens, it’s time to get mosquito control services. Mosquito control services will help prevent mosquitoes from ruining your evening. Most people think that there is nothing to be done about mosquitoes, but there is a fantastic solution that is very effective. 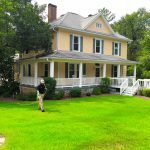 This solution is not the same for everyone, but a professional can come to your property, assess the mosquito situation, and determine the best plan of attack to remove the pesky mosquitoes from your yard for good. Mosquito control services can be scheduled on a regular basis to help minimize the annoying bugs and keep them from spoiling your evening. If you are interested in learning more about mosquito control services, or if you would like to schedule a service appointment, contact us today at Carolina Turf and Mosquito, LLC. 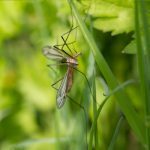 Our trained professionals have over 15 years of experience dealing with mosquitos and they know all the tricks to get them to leave your yard for good. We can help you enjoy your evenings outside and make sure you can always have a comfortable evening, no matter what you choose to do.